In part 1 of this series, we discussed the osseous mechanisms of the chiropractic spinal adjustment (CSA) and in part 2 we discussed the mechanical and neurological functions of connective tissue. It is in this connective tissue as well as in other neurological components located in the osseous structures of the spine that the primary effector structures of a CSA are to be found. To fully understand the bio-neuro-mechanical mechanism of the CSA, we must explore the mechanical aspect of the chiropractic adjustment, what effect it has on the neurological effector organs, how the spine and brain are inter-related and finally, how the muscles and ligaments (intervertebral discs) working in tandem effectuate homeostasis. 5. 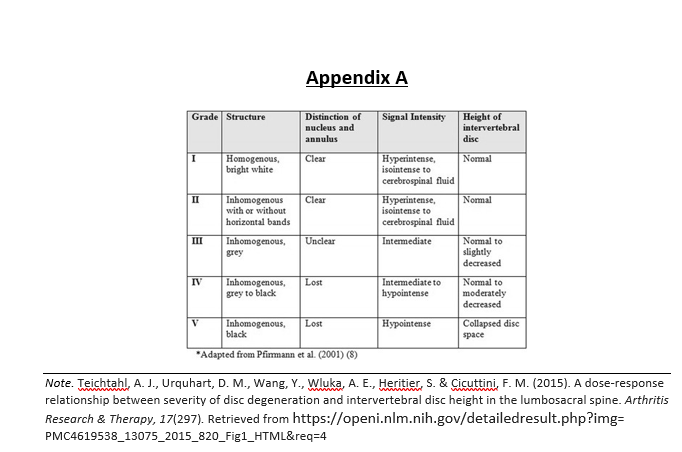 Advancing complications in the innervated tissues and/or the patient’s symptoms. This is sometimes termed the “end tissue phenomenon” of the vertebral subluxation complex. However, like many theories, these concepts have proven close to accurate and this report of the literature, although not designed to prove or disprove the Vertebral Subluxation Complex, validated many of the previous “beliefs” based upon contemporary findings in the literature and personal clinical experience, which along with patient expectations, are the three key components to evidence-based medicine. In Part 1, we discussed specific biomechanical references in modern literature. This verifies that with a vertebrate out of position, there is a negative neurological sequella that causes a “cascade effect” bio-neuro-mechanically. Historically, this has been objectively identified and in chiropractic practices called a vertebral subluxation. This nomenclature has been accepted federally by the U.S. Department of Health and Human Services and by the Centers for Medicare and Medicaid Services as an identifiable lesion, for which the chiropractic profession has specific training in its diagnosis and management. 5. The corrupted muscle response pattern leads to corrupted feedback to the control unit via tendon organs of muscles and injured mechanoreceptors [and nociceptors], further corrupting the muscle response pattern. 6. The corrupted muscle response pattern produces high stresses and strains in spinal components leading to further subfailure injury of the spinal ligaments, mechanoreceptors and muscles, and overload of facet joints. This indicates that once there is a bio-neuro-mechanical lesion (aka vertebral subluxation), there is a “negative cascade” both structurally (biomechanically) and neurologically in the body’s attempt to create homeostasis. However, should the cause of the lesion not be “fixed,” the entire system will perpetually fail. Over time, due to the Piezoelectric effect and Wolff’s Law of remodeling, the skeletal structure is now permanently altered. Therefore, treatment goals then switch from curative to simply management and is a long-term process. In part 2, we discussed subfailure,and will examine it again as explained by Solomnow (2009). The cascade effect works in 2 directions, one to create a bio-neuro-mechanically failed spinal system and one to correct a bio-neuro-mechanically failed system. This fact verifies that there is an osseous-neurological component that exists with the nociceptors at the facet level. When discussing central nervous system activity as a direct sequella to a CSA, we must divide our reporting into 2 components, reflexively at the area being adjusted and through higher cortical responses. When discussing local reflexive activity, we must also determine if it is critical to adjust the specific segment in question or if the adjustment will elicit neurological and end organ (muscle) responses to help create a compensatory action for the offending lesion. These findings indicate that a chiropractic spinal adjustment affects the central nervous system specifically at the interneuron level in the dorsal horn. This is part of the cascade effect of the CSA where we now have objectively identified the mechanism of the central nervous system stimulation and its effects. …pain-free volunteers processed thermal stimuli applied to the hand before and after thoracic spinal manipulation (a form of MT [Manual Therapy]). What they found was, after thoracic manipulation, several brain regions demonstrated a reduction in peak BOLD [blood-oxygen-level–dependent] activity. Those regions included the cingulate, insular, motor, amygdala and somatosensory cortices, and the PAG [periaqueductal gray regions]. Therefore, a thoracic CSA adjustment produced direct and measurable effects on the central nervous system across multiple regions, specifically the cingular cortex, insular cortex, motor cortex, amygdala cortex, somatosensory cortex and periaqueductal gray matter. This could only occur if “higher centers,” also known as the central nervous system, were affected. This concludes that there are observable changes in the function of the central nervous system seen in patients with musculoskeletal conditions and chronic pain. Chiropractors have observed this clinically and it demonstrates the necessity for chiropractic care for both short and long-term management of biomechanical spinal conditions. Although there is significantly more research verifying what occurs with a CSA, the above outlines the basics of how the adjustment works both biomechanically and neurologically from the connective tissue and peripheral nerves to the central nervous system both at the cord level and higher cortical regions. The final question is one of public safety. Based on their study on 6,669,603 subjects after the unqualified subjects had been removed, Whedon, Mackenzie, Phillips, and Lurie (2015) concluded, “No mechanism by which SM [spinal manipulation] induces injury into normal healthy tissues has been identified” (p. 265). Part 4 will be the evidence of subluxation degeneration and the literature verifying the mechanisms. Part 5, the final part of our series, will be an in-depth contemporary comparative analysis of the chiropractic spinal adjustment vs. physical therapy joint mobilization. 1. Kent, C. (1996). Models of vertebral subluxation: A review. 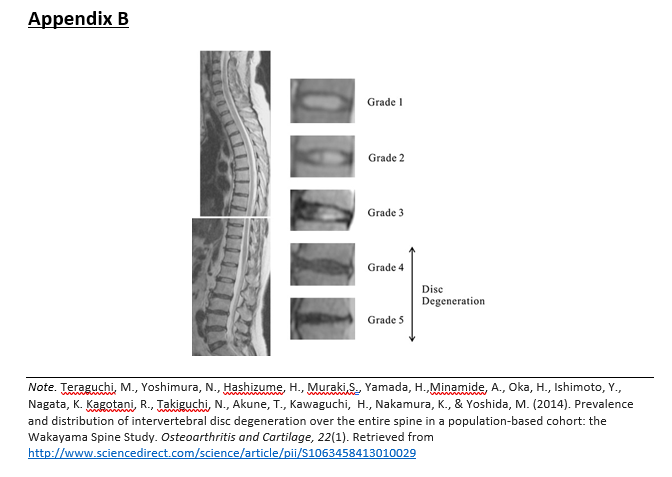 Journal of Vertebral Subluxation Research, 1(1), 1-7. 2. Evans, D. W. (2002). Mechanisms and effects of spinal high-velocity, low-amplitude thrust manipulation: Previous theories. Journal of Manipulative and Physiological Therapeutics, 25(4), 251-262. 4. Panjabi, M. M. (2006). A hypothesis of chronic back pain: Ligament subfailure injuries lead to muscle control dysfunction.European Spine Journal,15(5), 668-676. 5. Solomonow, M. (2009). Ligaments: A source of musculoskeletal disorders.Journal of Bodywork and Movement Therapies,13(2), 136-154. 6. Jaumard, N. V., Welch, W. C., & Winkelstein, B. A. (2011). Spinal facet joint biomechanics and mechanotransduction in normal, injury and degenerative conditions.Journal of Biomechanical Engineering,133(7), 071010. 7. Pickar, J. G. (2002). Neurophysiological effects of spinal manipulation.Spine,2(5), 357-371. 8. Reed, W. R., & Pickar, J. G. (2015). Paraspinal muscle spindle response to intervertebral fixation and segmental thrust level during spinal manipulation in an animal model.Spine,40(13), E752-E759. 9. Coronado, R. A., Gay, C. W., Bialosky, J. E., Carnaby, G. D., Bishop, M. D., & George, S. Z. (2012). Changes in pain sensitivity following spinal manipulation: A systematic review and meta-analysis. Journal of Electromyography Kinesiology, 22(5), 752-767. 10. Gay, C. W., Robinson, M. E., George, S. Z., Perlstein, W. M., & Bishop, M. D. (2014). 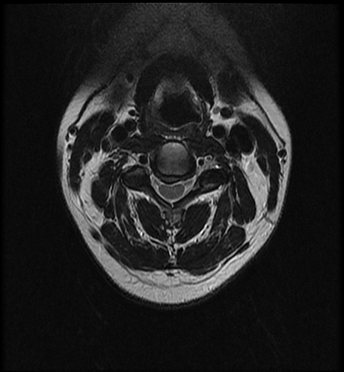 Immediate changes after manual therapy in resting-state functional connectivity as measured by functional magnetic resonance imaging in participants with induced low back pain.Journal of Manipulative and Physiological Therapeutics, 37(9), 614-627. 11. Daligadu, J., Haavik, H., Yielder, P. C., Baarbe, J., & Murphy, B. (2013). Alterations in coritcal and cerebellar motor processing in subclinical neck pain patients following spinal manipulation.Journal of Manipulative and Physiological Therapeutics, 36(8), 527-537. 12. Whedon, J. M., Mackenzie, T. A., Phillips, R. B., & Lurie, J. D. (2015). Risk of traumatic injury associated with chiropractic spinal manipulation in Medicare Part B beneficiaries aged 66-69 years. Spine, 40(4), 264-270. When studying chiropractic care in relationship to herniated discs and degeneration, we must first look carefully at each component to ensure that we are consistent with language to ensure a better understanding. There have been many reports in the literature on chiropractic care and its efficacy. However, the reporting is often “muddled” based upon interchangeable terminology utilized to describe what we do. The etiology of the verbiage being used has apparently been part of a movement to gain acceptance within the healthcare community, but this attempt for a change in view by the healthcare community has cost us. Currently, the scientific community has lumped together manipulation performed by physical therapists or osteopaths with chiropractic spinal adjustments because all three professions perform “hands on” manual therapy to the spine. For example, Martínez-Segura, De-la-LLave-Rincón, Ortega-Santiago, Cleland, and Fernández-de-Las-Peñas (2012) discussed how physical therapists commonly use manual therapy interventions directed at the cervical or thoracic spine, and the effectiveness of cervical and thoracic spine thrust manipulation for the management of patients with mechanical, insidious neck pain. Herein lies the root of the confusion when “manipulation” is utilized as a “one-size-fits-all” category of treatment as different professions has different training and procedures to deliver the manipulation, usually applying different treatment methods and realizing different results and goals. In short, Modic changes are stages reflective of the process the vertebrate undergoes in degeneration. First there is inflammation, then the marrow changes to fat preventing nutrients to feed the bone, followed by sclerotic or degeneration of bone. In the context of this article, how are spinal herniations responding to chiropractic care in lieu of inherent degenerative changes. 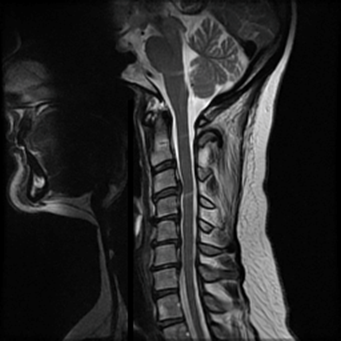 This report on the literature verifies that chiropractic care renders significant improvement in patients with cervical disc herniation in the presence of inflammation and/or degenerative changes using an accepted disability index in a verifiable scenario. This, in conjunction with other numerous report on the efficacy of chiropractic successfully treating patients with herniated discs offers solutions to an injured public. Kressig, M., Peterson, C. K., McChurch, K., Schmid, C., Leemann, S., Anklin, B., & Humphreys, B. K. (2016). Relationship of Modic Changes, Disk Herniation Morphology, and Axial Location to Outcomes in Symptomatic Cervical Disk Herniation Patients Treated With High-Velocity, Low-Amplitude Spinal Manipulation: A Prospective Study.Journal of manipulative and physiological therapeutics,39(8), 565-575. Martínez-Segura, R., De-la-LLave-Rincón, A. I., Ortega-Santiago, R., Cleland J. A., Fernández-de-Las-Peñas, C. (2012). Immediate changes in widespread pressure pain sensitivity, neck pain, and cervical range of motion after cervical or thoracic thrust manipulation in patients with bilateral chronic mechanical neck pain: A randomized clinical trial. Journal of Orthopedics & Sports Physical Therapy, 42(9), 806-814. Sung, P. S., Kang, Y. M., & Pickar, J. G. (2004). Effect of spinal manipulation duration on low threshold mechanoreceptors in lumbar paraspinal muscles: A preliminary report. Spine, 30(1), 115-122.